A great roofing company starts with an exceptional team. 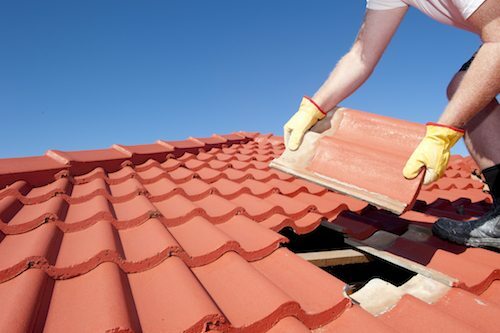 Strong Hammer Contracting is a family owned and operated team of roofing and gutter specialists committed to providing our residential clients with the best craftsmanship and most reliable service in the industry. It’s our dedication to customer service that has led us to expand our offerings into so many roofing-related fields, including chimney work, siding work, skylights, and more. When you partner with us for your roofing needs, we truly want to address all of your concerns with expert solutions and provide you with an affordable and memorable experience. Our roofing expertise covers a vast scope of styles and materials, including slate, asphalt shingles, spanish tiles, copper roofing, aluminum gutters, stucco resurfacing, and so much more. Having such a diverse portfolio of service offerings allows Strong Hammer Contracting to better address the needs of our clients and their unique homes. We proudly serve the greater Westchester County in New York and Fairfield County in Connecticut. Strong Hammer Contracting has won the Super Service Award from Angie’s List for 2015 and 2016 (stay tuned for 2017’s results! ), and we are GAF Certified . We take great pride in serving our community with honesty and integrity, and everyday we strive to do our part to make our cities and neighborhoods a nicer place to live by enhancing the curb appeal of our clients and making their homes stronger and safer for the future. Strong Hammer Contracting is a roofing company serving White Plains, New Rochelle, Mt Vernon, Yonkers, Port Chester, Greenwich, and surrounding NY and CT communities.